She’s a fantastic Paint with a personality to match! 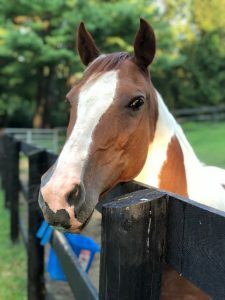 Please help Delilah and the other horses by adopting, fostering and sponsoring, or making a donation. You can also help 13 Hands by volunteering, spreading the word, liking our Facebook page, and signing up for our newsletter. If you have any questions, please contact us using our Contact Page. Copyright © 2016 Hands Equine Rescue Inc. All Rights Reserved.